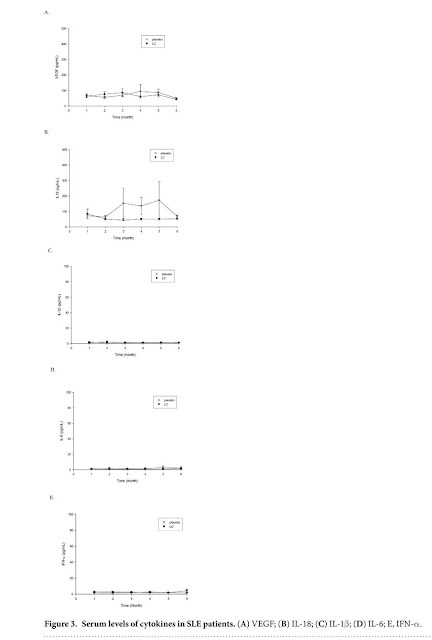 Sci Rep. 2016 Feb 5;6:19622. doi: 10.1038/srep19622. 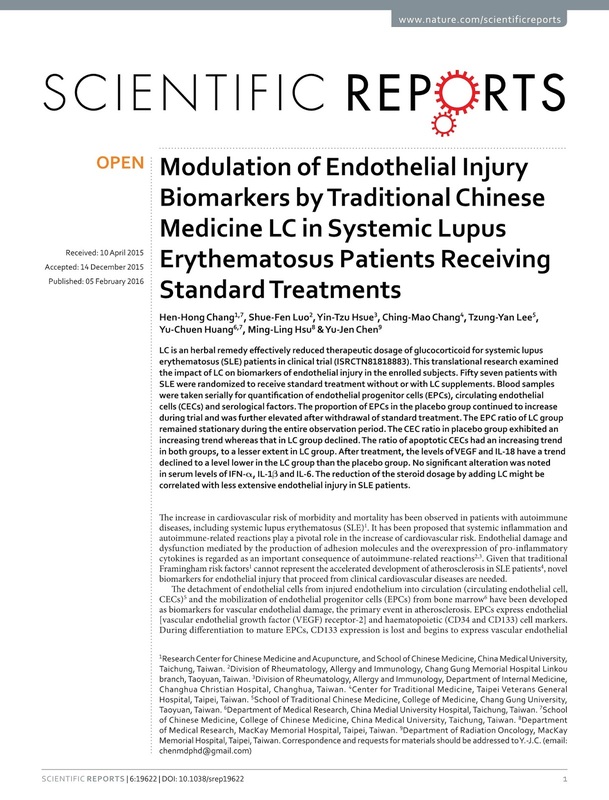 Modulation of Endothelial Injury Biomarkers by Traditional Chinese Medicine LC in Systemic LupusErythematosus Patients Receiving Standard Treatments. Chang HH1,2, Luo SF3, Hsue YT4, Chang CM5, Lee TY6, Huang YC7,2, Hsu ML8, Chen YJ9. LC is an herbal remedy effectively reduced therapeutic dosage of glucocorticoid for systemic lupus erythematosus (SLE) patients in clinical trial (ISRCTN81818883). 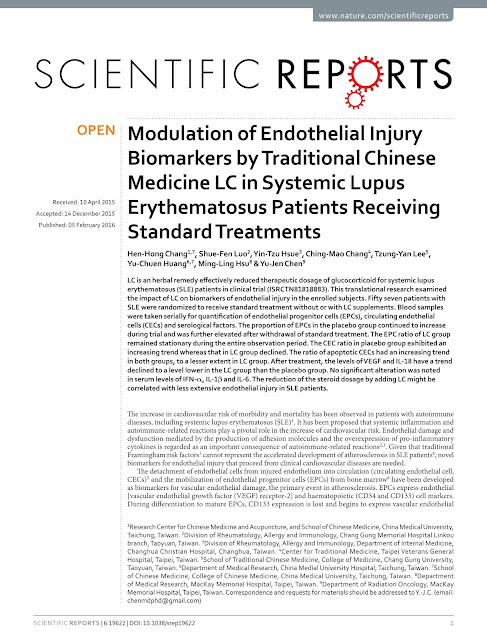 This translational research examined the impact of LC on biomarkers of endothelial injury in the enrolled subjects. Fifty sevenpatients with SLE were randomized to receive standard treatment without or with LC supplements. 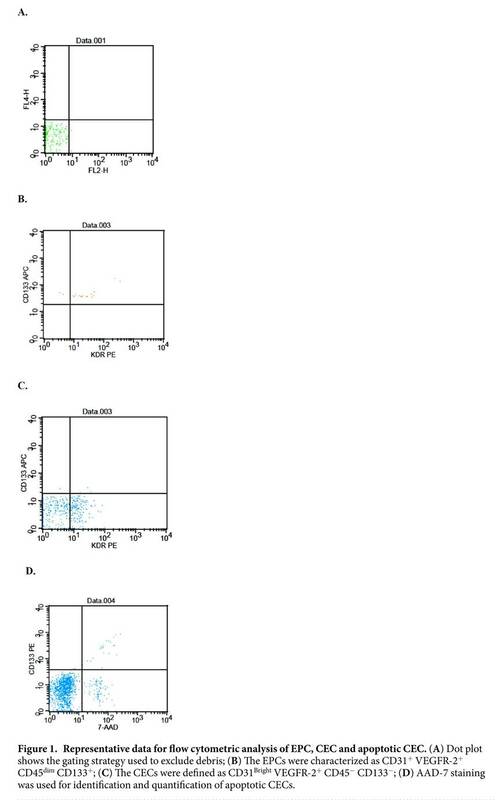 Blood samples were taken serially for quantification of endothelial progenitor cells (EPCs), circulating endothelial cells (CECs) and serological factors. The proportion of EPCs in the placebo group continued to increase during trial and was further elevated after withdrawal of standard treatment. The EPC ratio of LC group remained stationary during the entire observation period. The CEC ratio in placebo group exhibited an increasing trend whereas that in LC group declined. 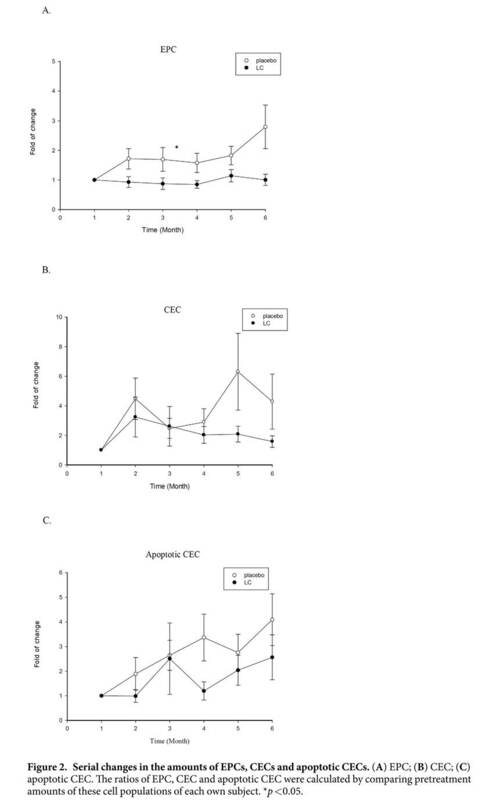 The ratio of apoptotic CECs had an increasing trend in both groups, to a lesser extent in LC group. 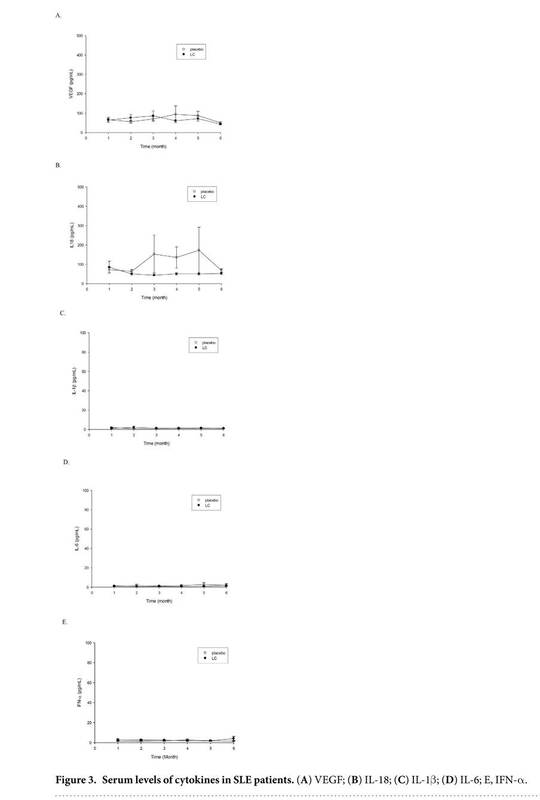 After treatment, the levels of VEGF and IL-18 have a trend declined to a level lower in the LC group than the placebo group. 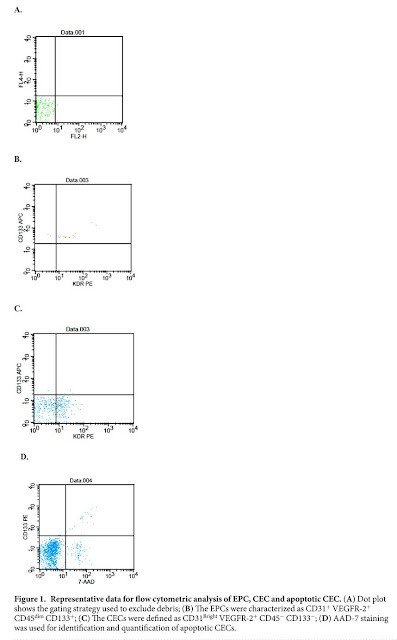 No significant alteration was noted in serum levels of IFN-α, IL-1β and IL-6. The reduction of the steroid dosage by adding LC might be correlated with less extensive endothelial injury in SLE patients.